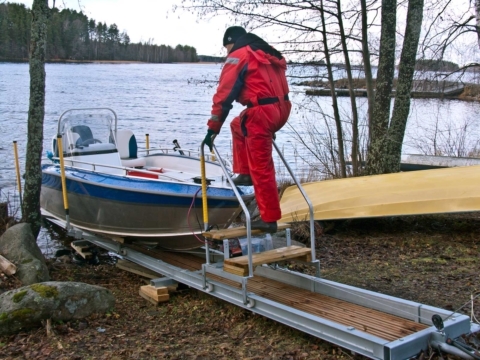 EasyBoatRoller dock makes it easier to use your boat and store it on shore. 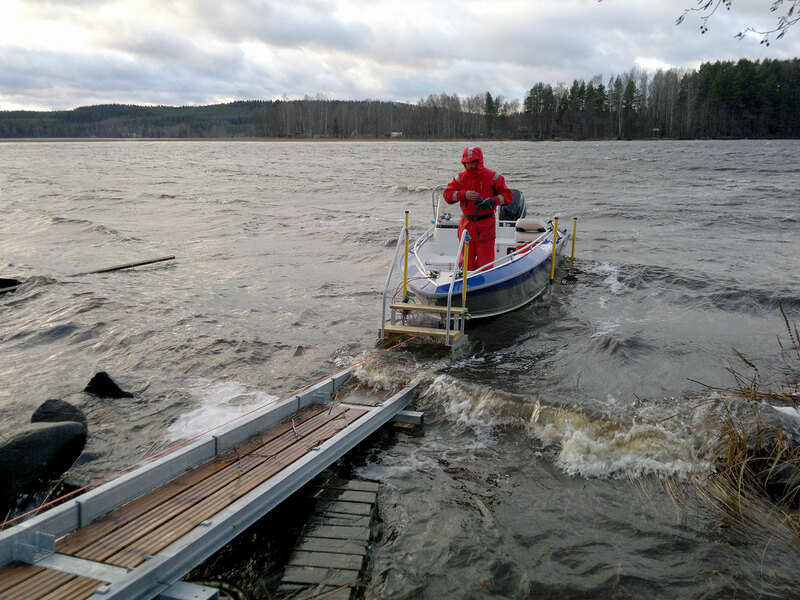 The stairs allow you to enter and leave the boat safely with dry feet. You never have to pull your boat on top of rollers etc. Drive your boat over the dock while still floating. That’s why it never requires any force and the bottom of the boat is not damaged or scratched. You are always able to conveniently pull your boat far up the dock, where it is always protected from wind and storms. 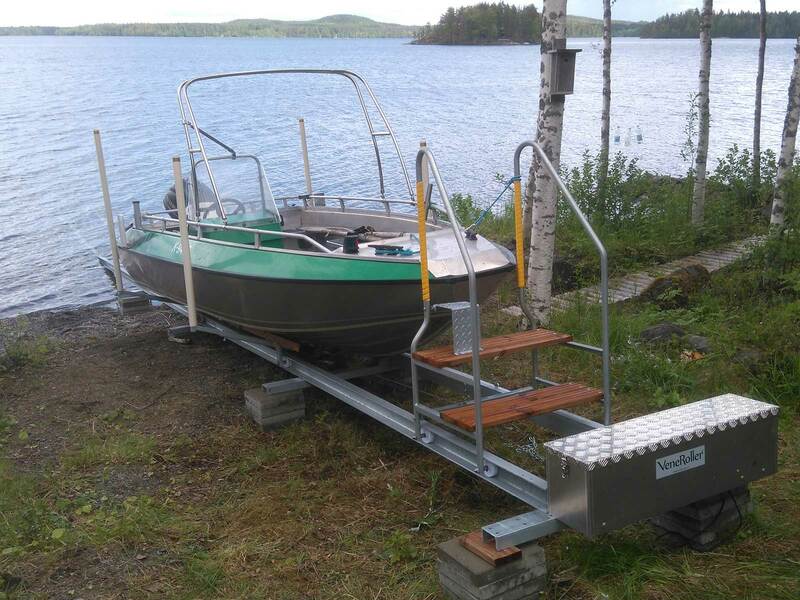 EasyBoatRoller dock can be placed on many kinds of terrain, including rocky ground, bedrock, and shores consisting of sand or clay. Thanks to its very sturdy rail structure, the rails do not need to be supported throughout; support at rail joints is enough. At other points the rails can be above ground. 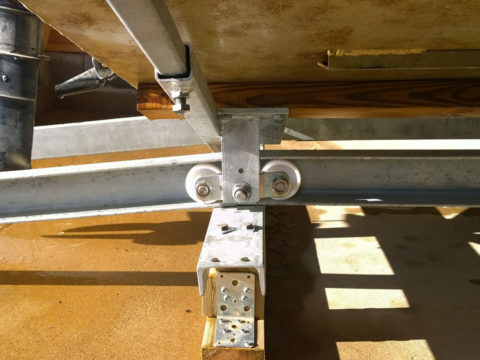 If you have a boathouse or shelter you can extend the rails of the dock directly into the boathouse. 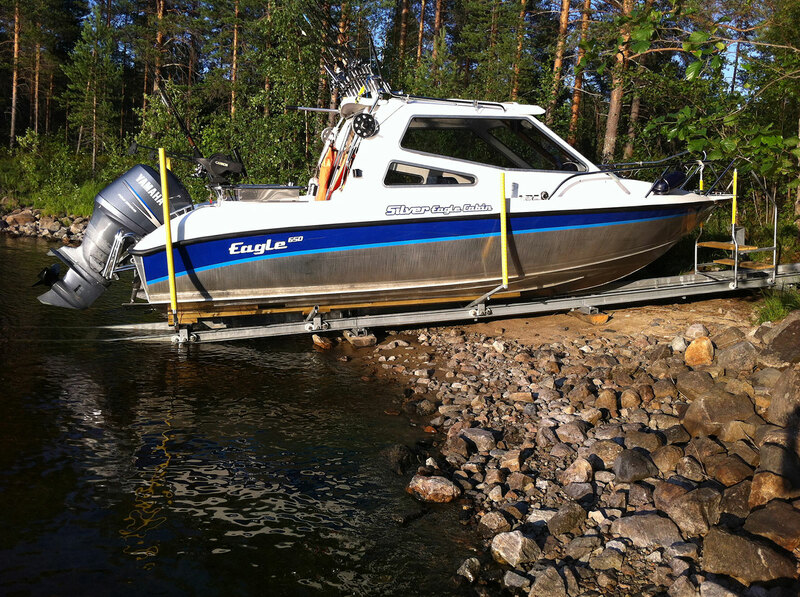 It’s easy to perform usual maintenance proceduresof the boat and motor while the boat is pulled onto the dock. When using EasyBoatRoller, the bottom also stays clean, and it’s usually not necessary to apply bottom paint. Furthermore, you can leave the boat on EasyBoatRoller for winter storage, which makes it always conveniently ready to go when springtime comes. 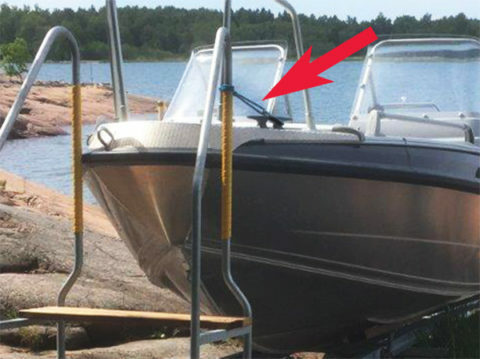 EasyBoatRoller docks are manufactured in Finland. A patent has been granted for the product in many countries.